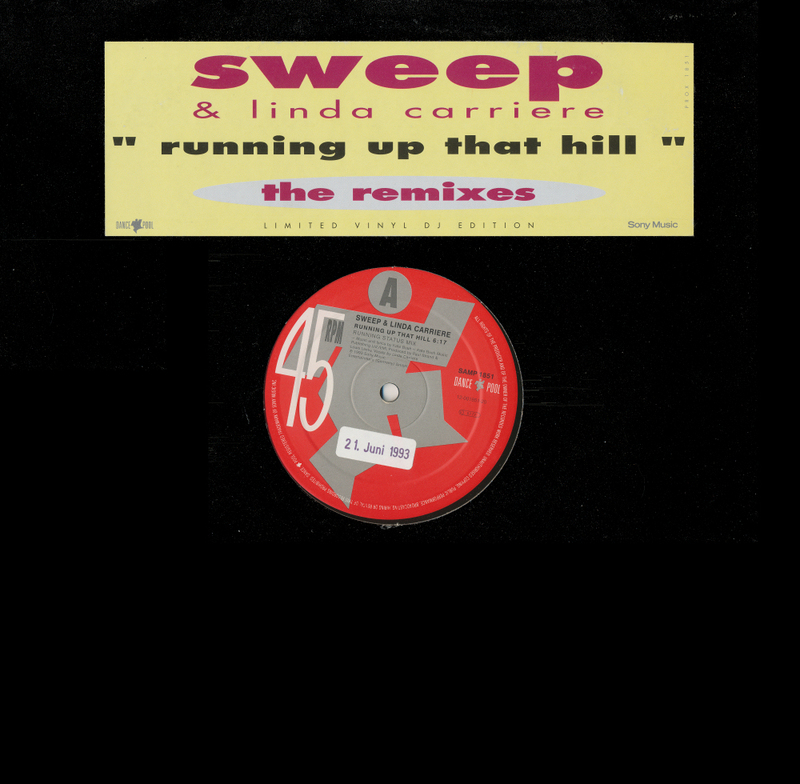 Not content with just one disc, Sweep and Linda Carriere released several 12" singles of their cover of 'Running up that hill'. This second 12" features just two remixes of the track, featuring a sort of budget Shaggy clone (as if Shaggy himself isn't cheap enough already). Repetitive and a bit of an insult to the original track, it's no wonder Sweep disappeared from the music scene directly after this one release. Most people who are fan of a certain artist don't have much interest for cover versions of their favourite artist. I tend to act differently: for most of the acts that I have more than a passing interest in, I like to collect as much cover versions as I can. It does mean that you need a lot of perseverance and in some cases lots of endurance too. Some cover versions are dreadful, others can turn out to be quite nice. 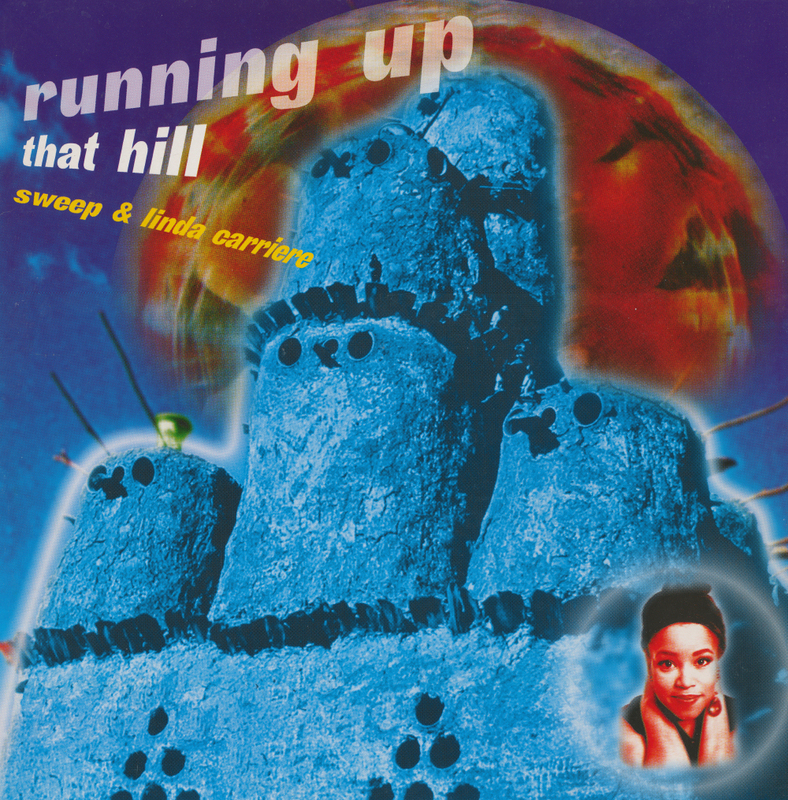 Unfortunately, Sweep's 1993 version of Kate Bush's 'Running up that hill' does not fall into the latter category. It's a rather unimaginative take on what was a very innovative pop song back in 1985. The vocals by Linda Carriere are sometimes ridiculous, but she does manage to hold a few notes. Which I guess is a positive point.